On the dam line, Byalee Briar is out of a Bernstein mare. 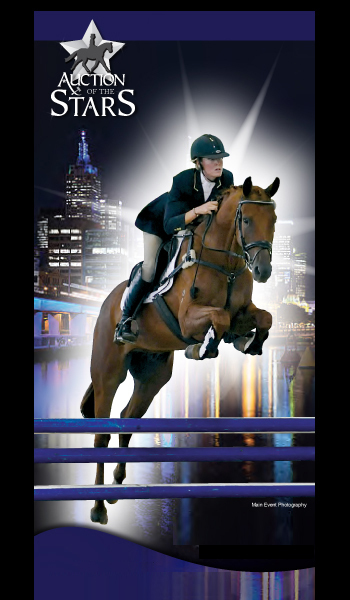 Bernstein is a Swedish warmblood stallion, sire of many approved stallions, again with a pedigree that has proved itself in the ranks of Grand Prix in Europe and the US. Bernstein also sired Madonna, the winner of the national Swedish finals for four-year-olds, and won the Breeders� Trophy for 5- and 6-year olds. He was himself stallion of the year in dressage in Sweden in 2001. Together these bloodlines have now produced what we expect to be one of the most exciting young stallions to be brought into Australia. Byalee Briar is just beginning to develop what will be an amazing competition trot. He has inherited Briar�s incredible uphill canter with strong shoulder and knee action, and shows that ever-essential correct walk. Byalee Briar is already winning annual championships at preliminary level and his babies are friendly with great conformation and amazing movement. Byalee is thrilled to be able to offer these wonderful bloodlines live in the Southern Hemisphere. 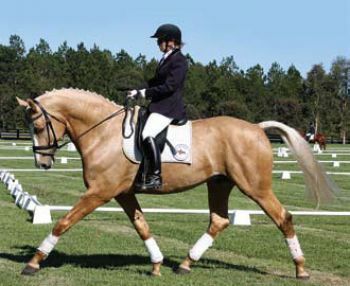 As a bonus, Byalee Briar is a palomino, with the colour dating back eight generations of Swedish warmbloods. Live cover only.